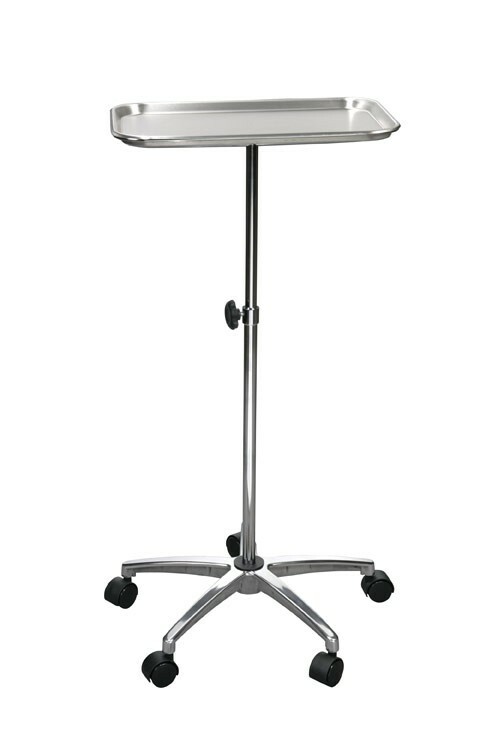 The Drive Medical Mayo Instrument Stand with Mobile 5 Inch Caster Base that provides easy mobility and sturdy footing. This tray provides mobility and easy transportation of medical equipment and tools. 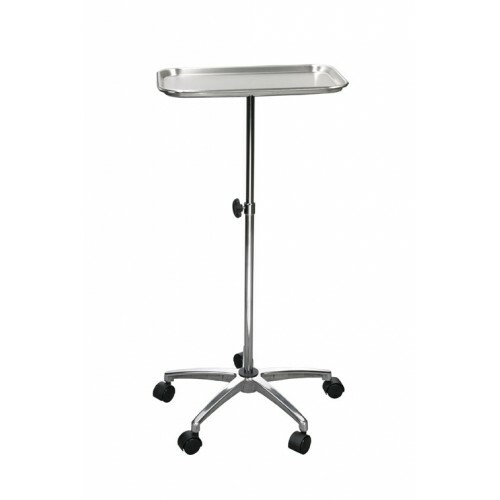 The Drive 13071 Mayo Instrument Stand with Casters features a removable stainless steel tray that measures 19 x 12.5 inches. It is height adjustable from 29.5 to 47 inches and can be secured in place with a lock. This caster base is of great use in my hospital. This is easy to move and its height is adjustable. This is a very good base and durable too. Also the tray is of good size.